NEW YORK—Michael Rosenfeld Gallery is presenting a rare opportunity to view the work of Benny Andrews (1930-2006), 36 narrative-rich paintings produced between 1964 and 2005. 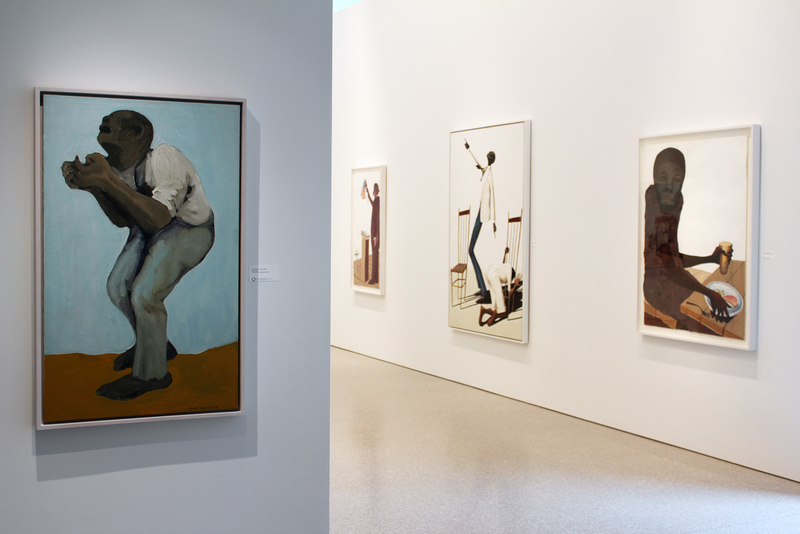 The first comprehensive survey of his work since his death, “There Must be a Heaven” includes oil and mixed-media collage, canvases that explore American identity, migration and the challenges and dignity of black life. 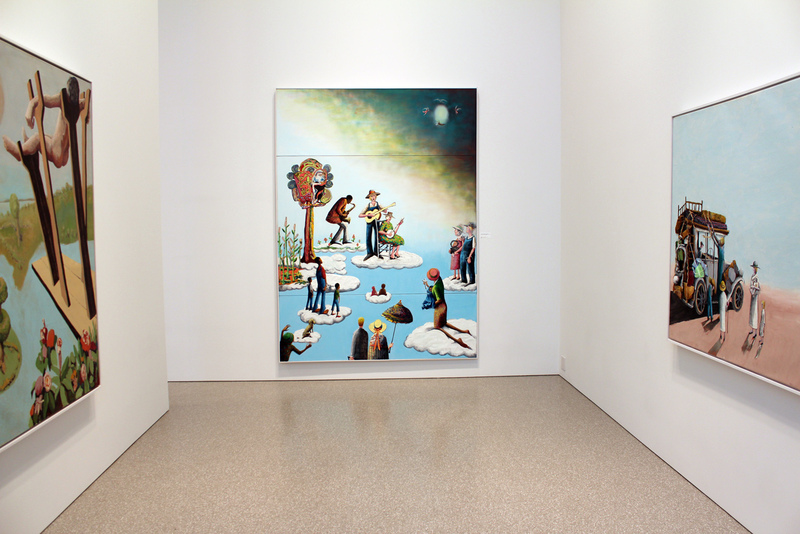 “There Must be a Heaven,” 1966 (oil on canvas), with “The Way to the Promised Land” in background at center. 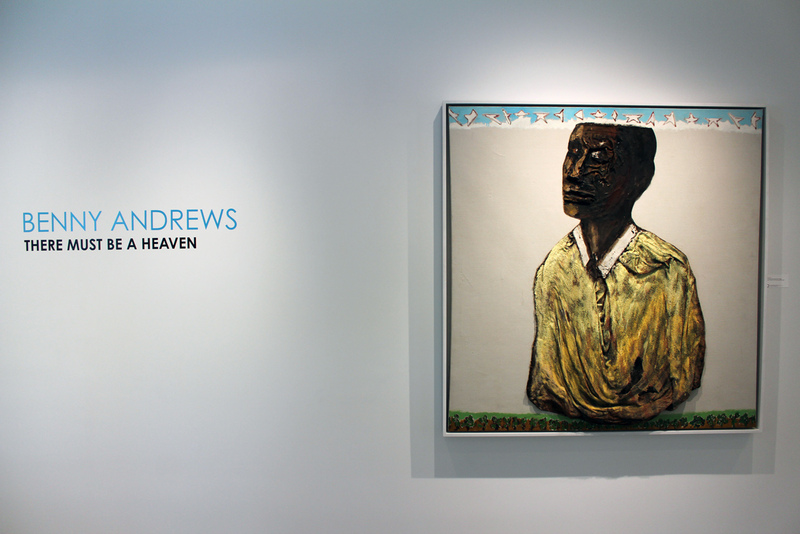 Andrews considered himself a “people’s painter” and throughout his career which included many exhibits and accolades, he dedicated himself to issues close to his heart and field. 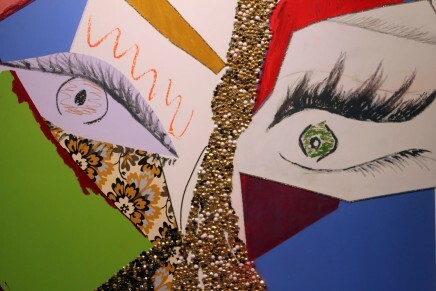 He helped promising students from underserved communities get a college education, started what would become a nationwide prison art program and worked on an art project with children affected by Hurricane Katrina. 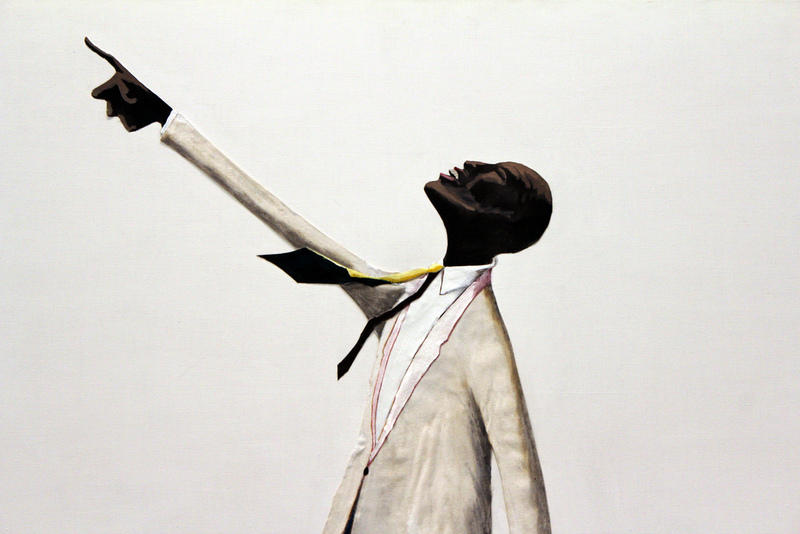 Throughout his career he also advocated for black artists and their work, focusing on improving their representation in museums and establishing a foundation to help emerging artists gain exposure and encourage artists to donate their works to black college museums. 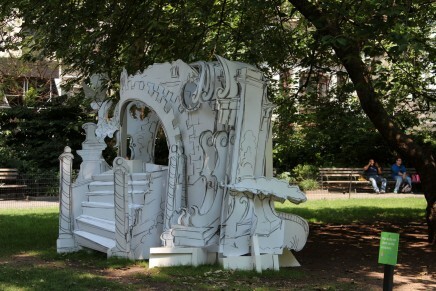 “There Must Be a Heaven,” is on view from March 19 to May 18, 2013 (extended through May 24). Michael Rosenfeld Gallery represents Andrews’s estate and says the exhibition showcases just a fraction of the prolific artist’s work. “A Soul,” 1974 (oil on canvas and painted fabric collage). Detail of “The Way to the Promised Land (Revival Series),” 1994 (oil on canvas with painted fabric collage). 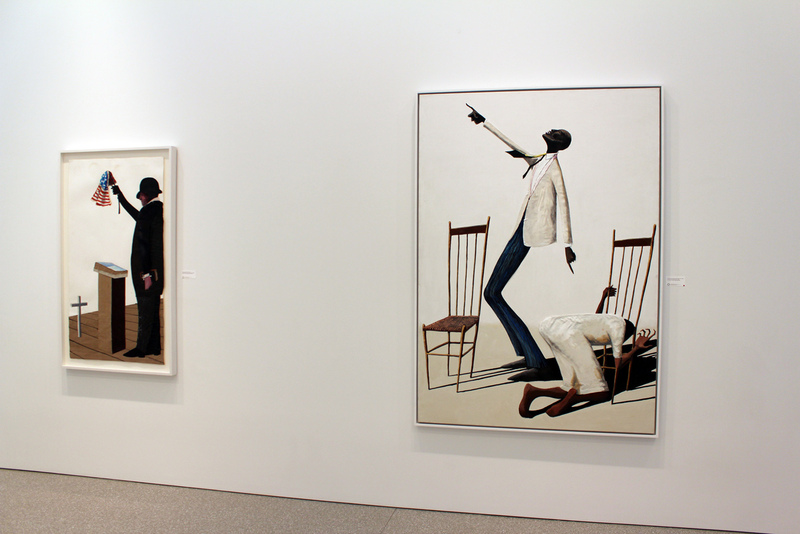 From left, “Demagogue (American Series),” 1990 (oil and graphite on paper with painted fabric collage). 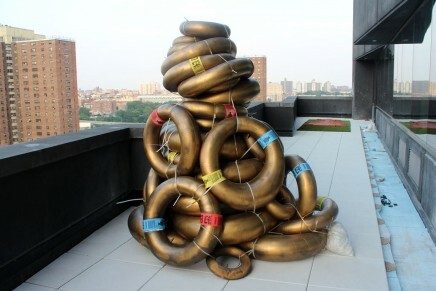 Installation view, with “Down the Road” at center. 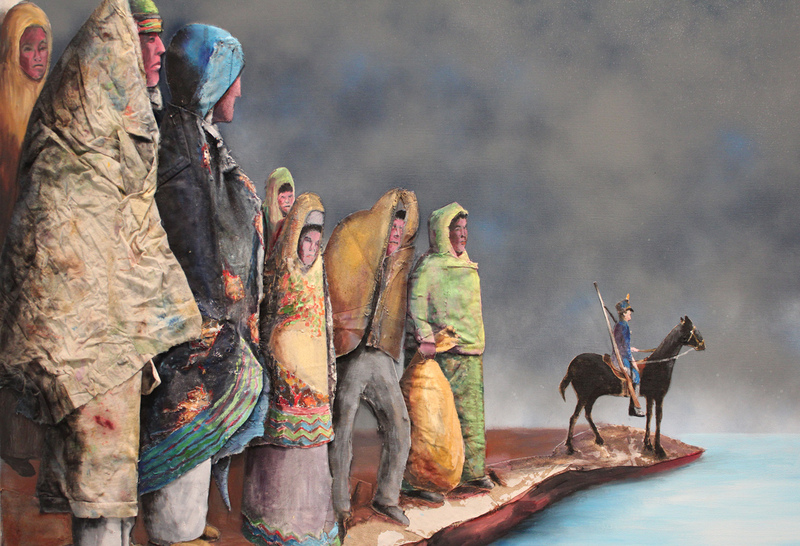 Detail of “Mississippi River Bank (Trail of Tears Series),” 2005 (oil on canvas with painted fabric collage). 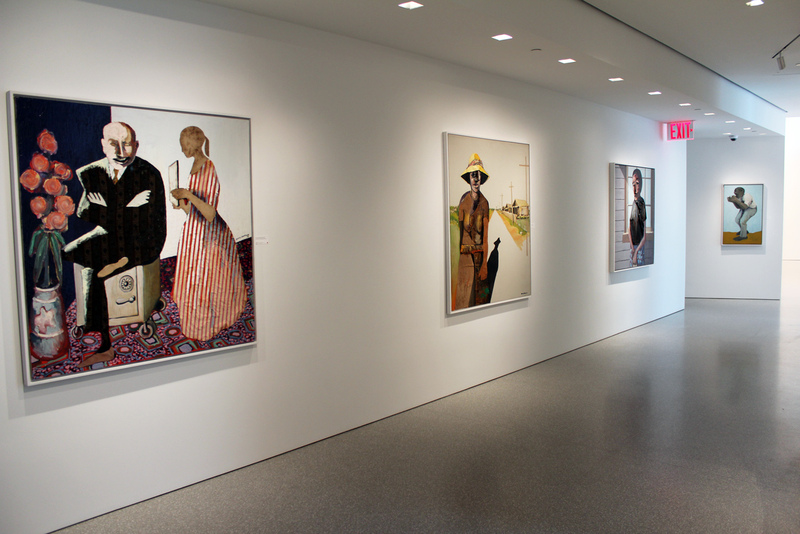 Installation view, from left, “Cradle” 1967 (oil on canvas); “Baptist Heaven (Human Spirit Series),” 2000 (oil on three joined canvases with painted fabric collage); “Migrant Packers (Migration Series),” 2004 (oil on canvas with collage including painted fabric, rope, string and staples). 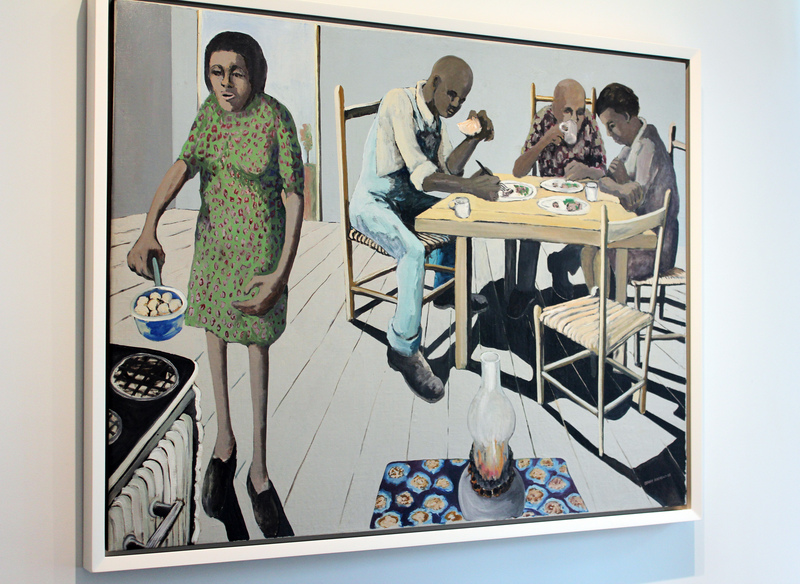 “Dinner Time,” 1965 (oil on canvas) is on display at the gallery’s front desk. 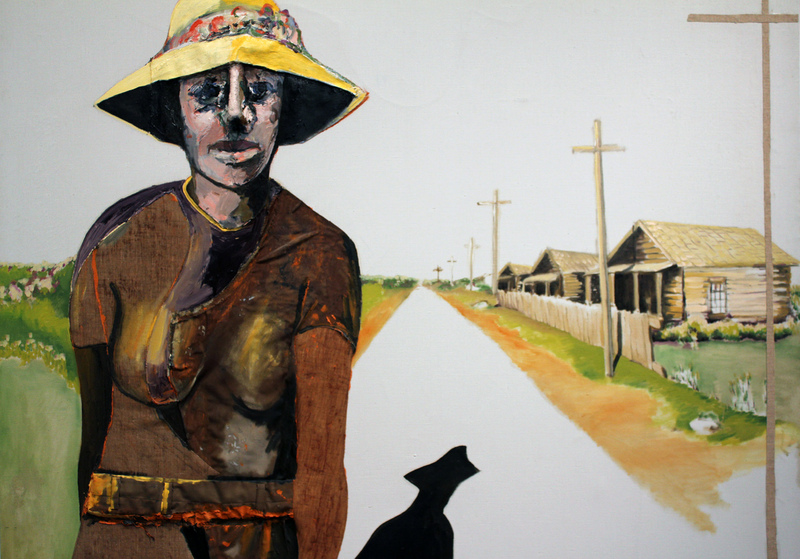 Detail of “Down the Road,” 1971 (oil on canvas with painted fabric collage). 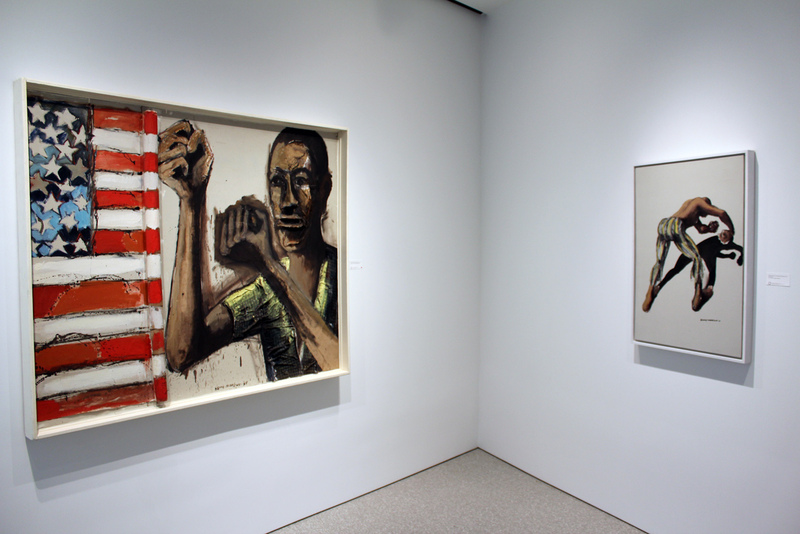 From left, “Did the Bear Sit Under the Tree?” 1969 (oil on canvas with painted fabric collage with zipper) and “Dragger (Study for Trash) (Bicentennial Series), 1971 (oil on canvas).